House Republicans have unveiled their stopgap measure to keep agencies funded through Feb. 16 and avoid a shutdown when the current spending measure expires Friday night. The month-long continuing resolution would be the fourth such temporary spending bill of fiscal 2018 and leave agencies without the certainty of full year appropriations for at least about 40 percent of the year. Its passage is not yet guaranteed, however, as House Democrats are once again threatening to withhold their support and some enclaves within the Republican ranks have expressed concerns over the measure. Rep. Rodney Frelinghuysen, R-N.J., chairman of the House Appropriations Committee, acknowledged that another CR was not ideal but stressed the need to avoid a shutdown. Lawmakers are still negotiating a deal to raise the caps set by the 2011 Budget Control Act, which would set top-level spending parameters that would then allow appropriators to designate line-by-line funding for all federal agencies. Democrats have pledged not to support any agreement that does not raise the caps equally for defense and non-defense spending. The latest CR would provide the Defense Department with additional funding for missile defense and other activities. Republicans particularly keen on supporting and growing the military have echoed concerns from the Pentagon that ongoing stopgap measures have harmful effects on national security. As part of an effort to win over Democrats, the measure would extend for six years the Children’s Health Insurance Program. It would also, however, continue to delay certain taxes included in the Affordable Care Act. Democratic leaders have also demanded an agreement to enable immigrants with Deferred Action for Childhood Arrival status to remain in the country. President Trump and immigration hardliners in Congress have said such a deal must also include enhanced border security and a restriction on immigrants who obtain entry into the country through a lottery system. Republican leadership said this week the CR was necessary to finalize agreements on both the spending caps and immigration deals. 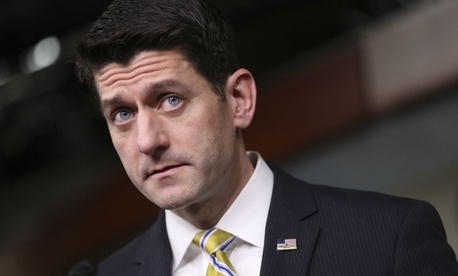 House Speaker Paul Ryan, R-Wis., said on Wednesday they were close to a longer-term spending deal, but accused Democrats of dragging their feet because of their immigration demands. He also expressed confidence his caucus would have sufficient votes to pass the short-term bill, but acknowledged he had not yet whipped a vote count on the measure. “It makes no sense for Democrats to try to bring us a shutdown,” Ryan told reporters. “I think cool heads will hopefully prevail on this thing.” He also repeatedly blamed Democrats for threatening to block military funding by failing to support a CR. House Minority Leader Nancy Pelosi, D-Calif., accused Ryan of holding a “master class in politicizing the military” while ignoring her party’s efforts to negotiate in good faith. House Democrats did not support the last CR that passed in December, but Republicans were able to wrangle enough votes among their own ranks to send it to the Senate. Most Democrats in the upper chamber rejected that bill, but enough supported it to avoid a shutdown. If all Senate Republicans support the new measure, they will need nine Democrats on board to once again avoid forcing agencies to close.